Oberpollinger, one of the best known department stores in Germany, yesterday celebrated the grand opening of its new ground floor, which was redesigned according to the plans of the English architect John Pawson. 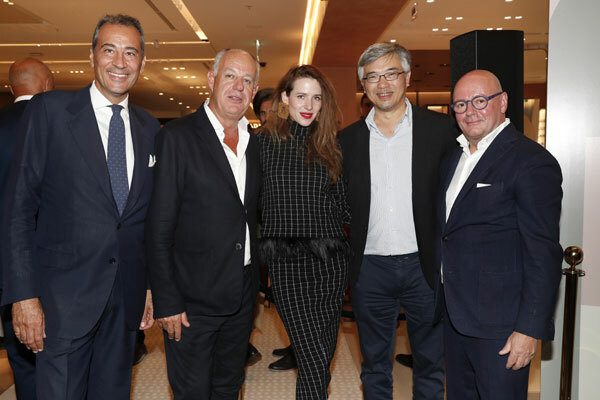 Construction began in 2016, transforming the traditional shop into a visionary, open-planned department store – one that combines its historical character with the urban lifestyle of today, said a statement from Oberpollinger. By 2006, the sales area expanded to over seven floors. Today the Oberpollinger stands for an urban lifestyle, but is also committed to the Bavarian tradition. Spread over approximately 34,000 sq m, the department store is home to a wide range of fashion, beauty and home and living products. The concept store ‘The Storey’ on the lower level attracts fashion-conscious locals and has a great selection on offer. "During its launch more than 110 years ago, the Oberpollinger store was described in the press as a shining structure through which the "breath of the big wide world" blows. Now you can feel it again," said a company spokesman. The new concept store on the lower level of the Oberpollinger was renovated based on the interior concept of architect duo Gonzalez-Haase, and presents selected industrial-style urban wear, trainers, lifestyle accessories and beauty products, he explained. Passing the windows designed by the Munich-based artist Sarah Illenberger, more than 1,200 invited guests came to the new 4,500-sq-m department for beauty, accessories and jewelry at the highest level. In addition to ambassadors of international brands, many well-known friends of the Oberpollinger celebrated this evening. The guest line-up included Victoria Swarovski, Christiane Arp, André Hamann, August Wittgenstein, Julia Malik, Katja Eichinger, John Pawson, Alessandra Meyer-Wölden, Nina Schwichtenberg, Sara Nuru, Nadine Warmuth and many others.